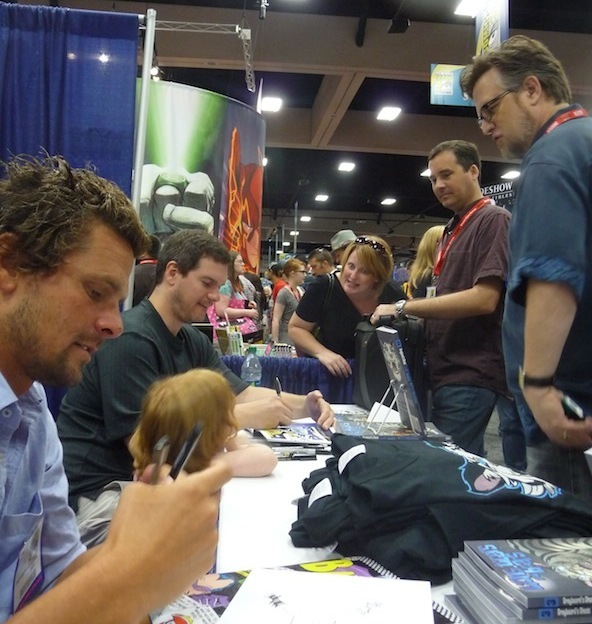 I asked my friend Oric Scott De Las Casas to report on the stuff he encountered at San Diego Comic-Con. Oric has a good eye for comic art and illustration, and I am pleased to present the first of his post-show wrap-ups. Stay tuned for more in the coming days. The San Diego Comic-Con was a more subdued show than in past years, partially due to new crowd control policies, including the spacing out of large events and panels. Over the next few days, I'll be sharing some of my personal highlights from the event. First up are two standouts from the often overshadowed indie/small press realm. 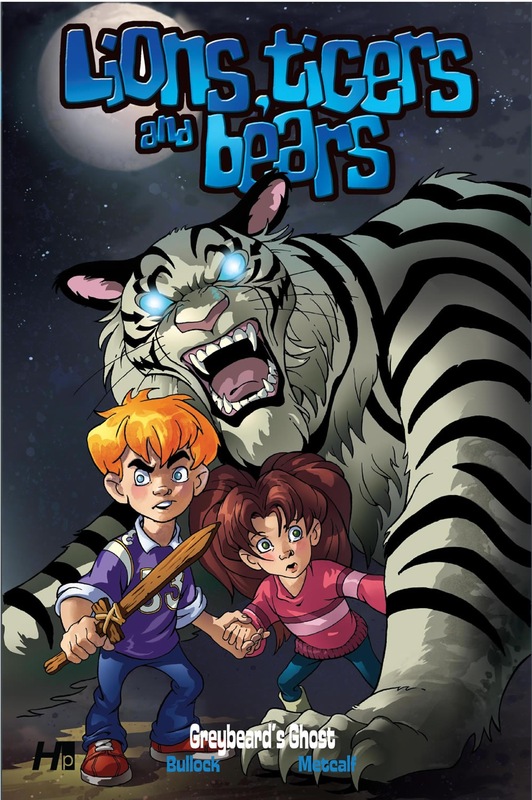 Mike Bullock's Lions, Tigers and Bears: Greybeard's Ghost (below) premiered Saturday with a signing by contributing artists Adam Van Wyk and BoingBoing favorite Dan Hipp. (above) It was a wonderful to see a warm response for kid-friendly material in a venue dominated by corporate sponsored superheroes. 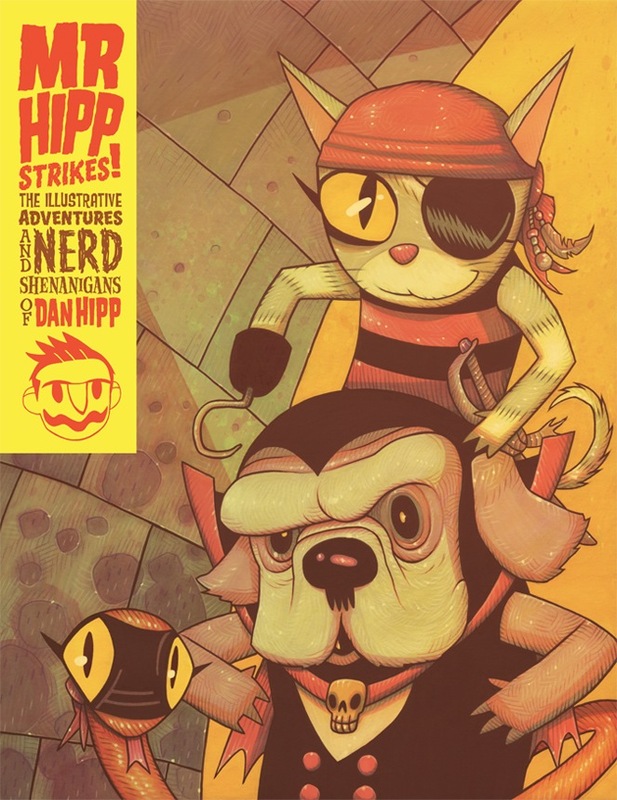 Dan Hipp also brought along his first ever art book, Mr. Hipp Strikes! (below) A limited edition gem featuring his favorite color illustrations and a sneak peek at his upcoming Stray Days! Luckily for you, that IS available online. More to come. Please stand by.